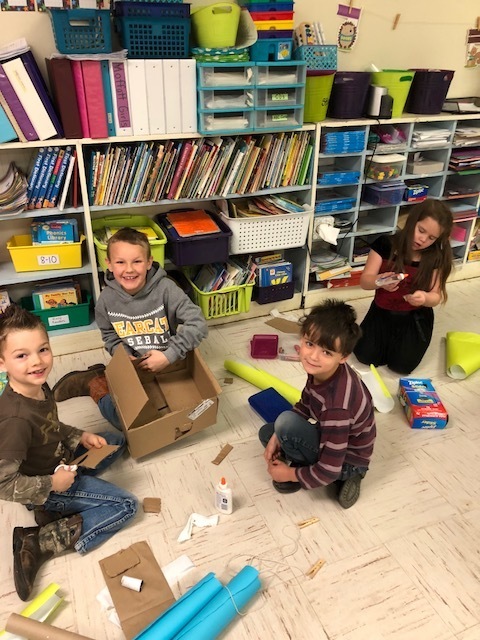 Mrs. Keathley’s class is busy this morning building houses for a mouse. They read a book The Mouse’s Birthday. In the the book, Mouse’s House is ruined by his birthday candles. They are building him a new house.